Nordicphotos. Sweden, Stockholm - Car traffic on Centralbron highway and trains. 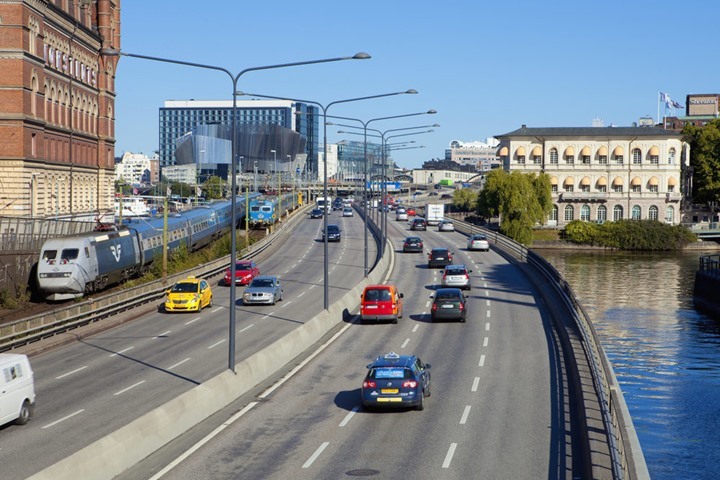 Sweden, Stockholm - Car traffic on Centralbron highway and trains.